Contact Seth for more information about pricing, availability, packages and to book your event! We really love what we do and it gives us great pleasure to share what some of our customers/vendors have said about our services. Hi Nancy, Sandy and I were just going over what an AMAZING party Saturday was… everything was absolutely perfect and the guests had an UNFORGETTABLE night…. And even if they might have had blurred memories, we ALL have so many photo strips to piece the night together with… We have to give soooo much credit to Seth and the photobooth… We all know photobooths are just plain fun… FACT… but Seth was just such a doll and great positive energy, it was just that much more… I sincerely hope and think we definitely drummed up some businesss for Broadway Photobooths… He had his setup and breakdown down to minutes and didn’t need to ask for anything - He even made it seem like he was having as much fun as the guests… while being entirely professional and courteous! This was such fun and we were soo pleased with the designs you submitted…the pics are the BEST memento and people will be talking about this party for quite some time! Thanks again – you and Seth were pleasures to work with! Hope we can do it again! Thank you for making the Snowflake Ball 2016 such a huge success. This is the 3rd event we have done together and they just keep getting better! 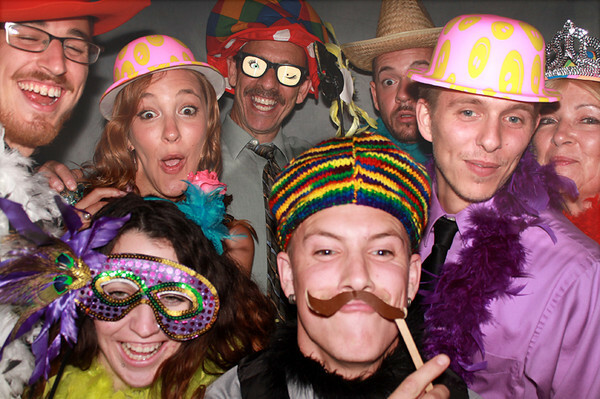 We recently used Broadway Photo Booth for our annual Fire Department Dinner. The props were great!!! We will be using them again in the future. Thanks you Nancy and staff.. If you are having a party or wedding or evena back yard BBQ... consider getting the Broadway Photo Booth for that day.. YOU WON'T BE SORRY.. IT IS SO MUCH FUN.. GIVE IT A TRY PLEASE.